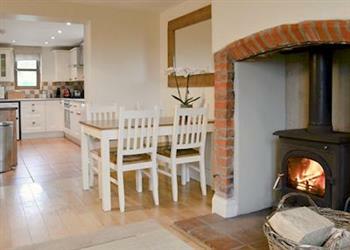 Blackthorn Cottage in Norton Disney, near Newark sleeps 4 people. Blackthorn Cottage near Newark is a semi-detached barn conversion set in the peaceful countryside, on the owner’s 80-acre equestrian centre, yet only a short drive to Lincoln and Newark. Blackthorn Cottage is perfect for those wishing to take their horse on holiday as stabling is available, by arrangement with the owners who conveniently live adjacent. There are great facilities including a large ménage and a British Eventing cross country course for schooling, as well as great hacking, both on-site and in the area. This is also an excellent base from which to explore the area or simply to relax and enjoy the peace and quiet of this tranquil location. Only a short drive away is the city of Lincoln, well known for its Christmas market and for the famous cathedral and castle which also houses the Magna Carta visitors centre. The Bailgate area of Lincoln has many restaurants and shops and a walk down the hill into the centre of the city, takes you to the vibrant Brayford Wharf area. Newark Showground is approximately 10 minutes’ drive away and is well-known for its international antique fairs. There are good walks and cycle routes from the door, as well as golf courses and fishing in the local area. The shop is 3 miles, with the pub and restaurant 1 mile from Blackthorn Cottage near Newark. Step to entrance: Ground floor: Living/dining room with wooden floor/kitchen with tiled floor. Separate toilet. First floor: 2 bedrooms: 1 double (5ft), 1 twin (zip and link, can be double on request). Shower room with toilet. 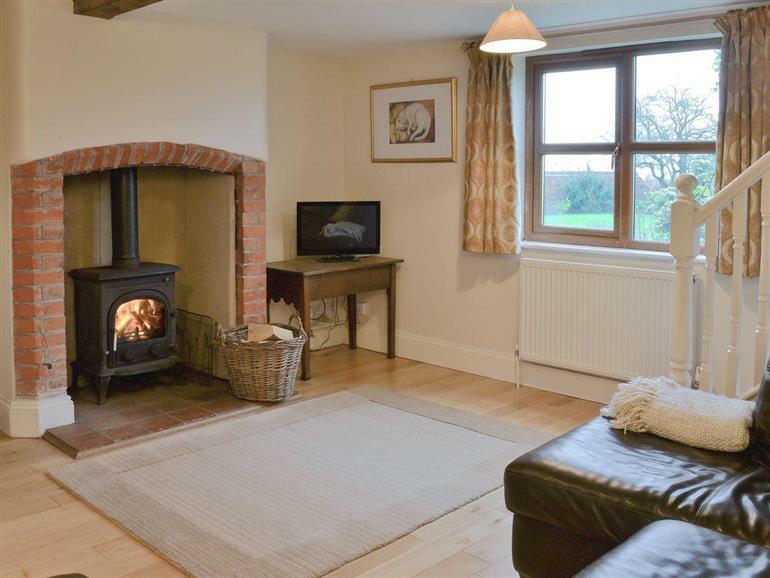 Wood burner in living room included. Oil central heating, electricity, bed linen and towels included. Travel cot and high chair on request. 28 Freeview TV. DVD. Electric cooker. Microwave. Shared washing machine and tumble dryer in owner’s utility room. Dishwasher. Fridge/freezer. Wi-Fi. Large enclosed lawned garden with patio, sitting-out area and furniture. Barbecue. Parking (3 cars). Cycle store. Stabling by arrangement. Welcome pack. No smoking. Holidays at Blackthorn Cottage run from Friday to Friday. For a better idea of where Blackthorn Cottage is, you can see Blackthorn Cottage on the map below. Blackthorn Cottage is in Lincolnshire; should you be on the lookout for a special offer, you can find all the special offers in Lincolnshire. It's always worth checking to see what is on offer at the moment. Do you want to holiday near Blackthorn Cottage (W44168), you can see other cottages within 25 miles of Blackthorn Cottage; have a look to find your perfect holiday location.